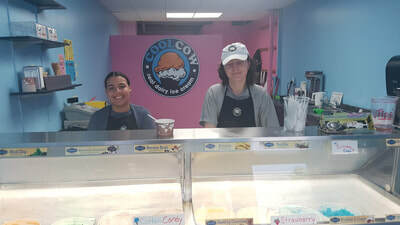 Cool Cow was established in 2015 the year before I decided to create a local ice cream map for my readers. 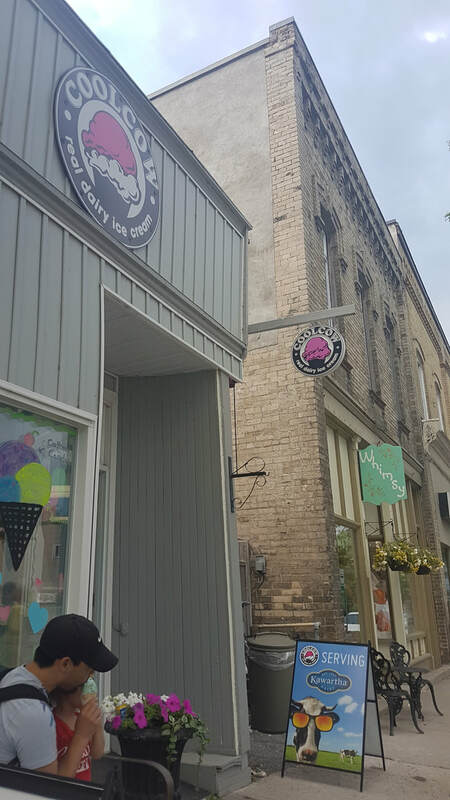 They caught my eye because they serve Kawartha Dairy ice cream, but also because ALL PROFITS support local charitable youth programs! The idea started with a drive to create local youth employment, help youth develop employable skills, and teach youth about entrepreneurship through the sales of ice cream products. We were welcomed by two local youths who did an amazing job selling us a very large single scoop of ice cream. The community even comes together and helps to donate some of the outdoor patio furniture to enjoy ice cream curbside. 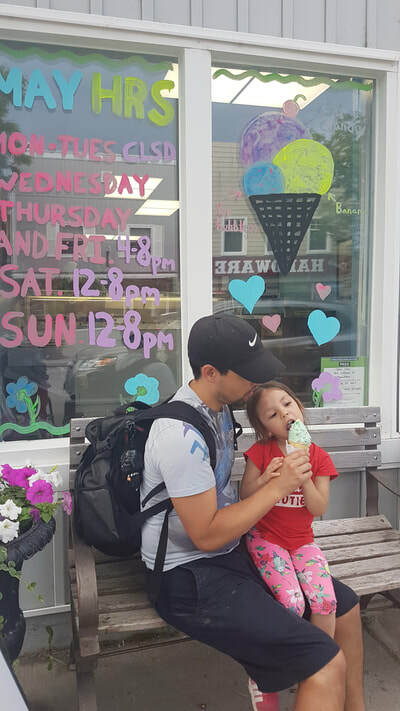 We love ice cream and love stopping for ice cream every road trip we take. We are discovering some amazing home made ice cream, gelato, and just plain old fun mom and pop shops around Ontario. With a new dairy allergy in the family (sad we know, poor little one) it makes our mission to find the best ice cream shops even more important as we are now looking for dairy free options too!